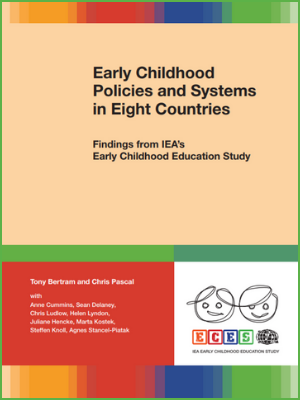 Early Childhood Policies and Systems in Eight Countries: Findings from IEA’s Early Childhood Education Study is an exploration of early childhood education (ECE) provision and its role in children's preparation for school and participation in society. In this context, formal early education and provision of care for young children from birth to the age of primary school is described and analyzed in Chile, the Czech Republic, Denmark, Estonia, Italy, Poland, the Russian Federation and the United States. The data was collected by way of a policy questionnaire, which collected basic information about the wider policy context for ECE in the participating countries. This report provides an overview of strategies, as well as systemic and structural results of ECE policy at the national and, where necessary, subnational levels. This research study, from International Association for the Evaluation of Educational Achievement, presents key findings are presented throughout the report, alongside their supporting evidence.